When is something that’s advertised as NEW or IMPROVED, BETTER THAN EVER, really so? How many times have we consumers been screamed at by advertisers in an attempt to make us believe that something we thought was perfectly fine, must not have been because well it’s now NEW, IMPROVED and BETTER THAN EVER! Sometimes however, there is a good reason to improve something. Change be good, should be embraced. 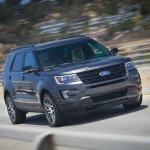 Take the Ford Explorer for example. 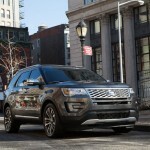 The Explorer is one of the best selling SUVs on the road today. It’s capable, well appointed and comfortable. Currently it’s outselling most of the other SUVs in its class. 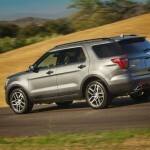 Despite this, for 2016 Ford decided that its Explorer needed some updates and a few changes. More mini-marshmallows? No, actually the 2016 Explorer doesn’t look all that different that the 2015. 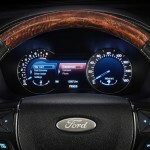 There are a few exterior styling tweaks (new LED lights and a new grille), some interior changes (more USB ports, MyFord Touch updates, new style buttons) and safety updates, suspension tuning, and a new 2.3-liter EcoBoost four-cylinder engine option that replaces the previous, less powerful 2.0-liter EcoBoost four-cylinder. You can now mate the 2.3 engine to the four-wheel drive variant, something you couldn’t do with the 2.0. Also for 2016, Ford added our subject for this week’s class, a new top-level trim, the Platinum. 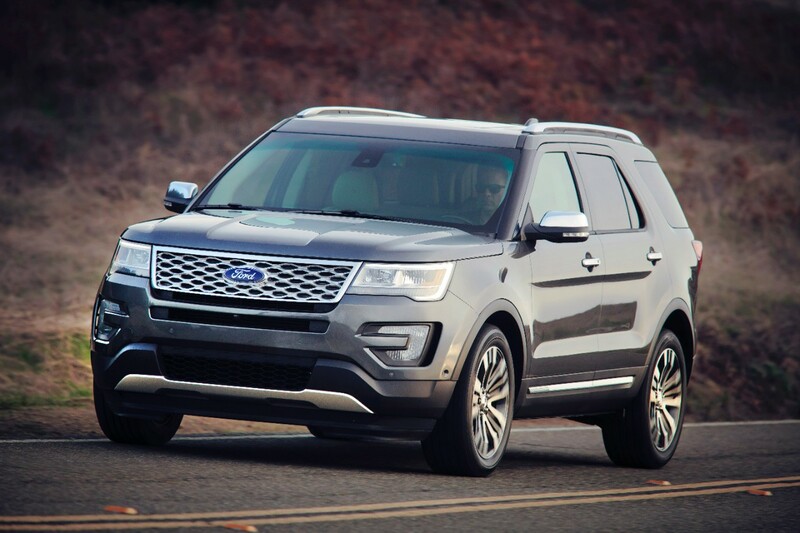 So then, for the 2016 Ford Explorer is available in five trim levels: base, XLT, Limited, Sport and Platinum. This large three row SUV has a great deal of standard features in the base model: full power accessories, AC, automatic LED headlights, LED taillights, along with climate control in the rear. There’s also Bluetooth, a rearview camera, and a 4.2-inch screen atop 18-inch wheels. Moving up to the XLT upgrades the brakes, adds foglights, rear parking sensors, keyless entry and ignition, an eight way power driver seat and satellite radio. Optional on the XLT is the Equipment Group 201A package. 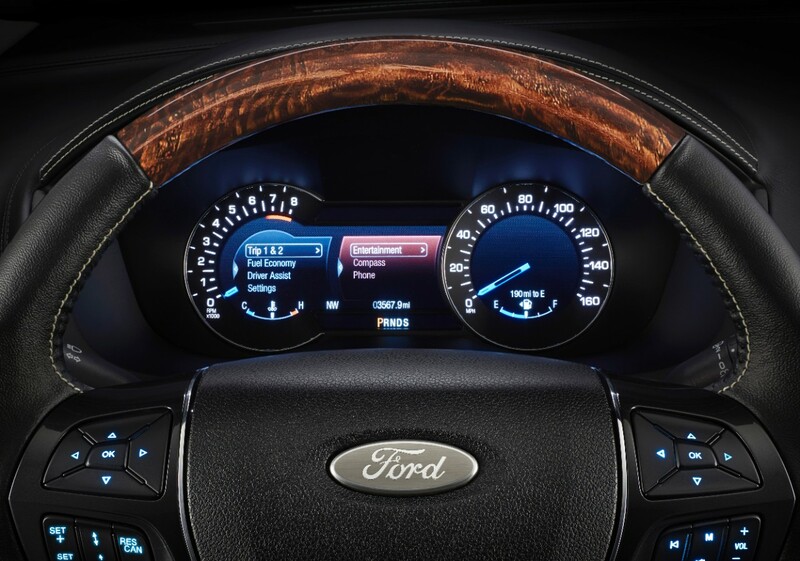 The package adds remote starting, dual-zone automatic climate control, an upgraded sound system, and the Driver Connect package with an 8-inch touchscreen display (MyFord Touch), a configurable gauge cluster, and upgraded Sync. The 202A package adds leather, heated seats in the front, and adds front parking sensors. All this in on the Limited, but the wheels are 20-inch, there is more exterior chrome, a front view camera, hands free liftgate, driver memory settings, second row heated seats, ventilated seats in the front, power heated steering wheel, a 110-volt power outlet, navigation, and an upgraded sound system with an HD radio. Options for the Limited include the 301A package that adds automatic wipers and high beams, a blind-spot warning system, rear cross-traffic alert and an automatic parallel- and perpendicular-parking system, and a lane-departure warning/intervention system. You can add adaptive cruise control with forward collision warning and a towing package. The Sport level has, of course, a sport tuned suspension, interior and exterior styling including specially designed 20-inch wheels. You can add the 401A package with a front view camera, the hands free liftgate, as well as the adaptive cruise control with forward collision warning, the heated steering wheel and the blind-spot monitoring and rear cross-traffic alert. The 401A package also has the driver memory settings, navigation system, and ventilated front seats. Adaptive cruise control is also optional. Other options for those between the base and Platinum include a rear seat entertainment system, power assisted second-row captain’s chairs and a dual-panel sunroof. The Platinum, new for 2016, is the top of the Explorer line. The Platinum has all of the 301A package as well as upgraded leather upholstery, the adaptive cruise control and the dual-panel sunroof. 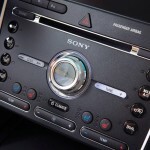 There is also upgraded wood and brushed aluminum trim along with a premium sound system. Since it’s already loaded the only options are the rear entertainment system and the second-row captain’s chairs. Under the hood a 3.5-liter V6 engine is standard for the base, XLT and Limited models. 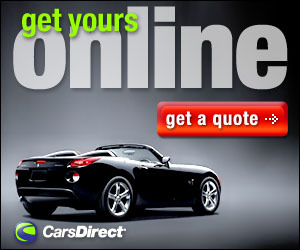 It delivers 290 horsepower and 255 lb.-ft. of torque. Optional for the models from base to Limited is the e 2.3 EcoBoost four-cylinder that replaces the 2.0. It delivers 280 horses, and 310 ft-lb’s torque. The Explorer Sport and the Platinum edition get a standard 3.5-liter twin-turbocharged EcoBoost V6 making 365 horsepower and 350 lb.-ft. of torque. All engines are mated to a six-speed automatic. Front wheel driver is standard, four wheel drive is an option except for the Sport and Platinum where 4WD is standard. 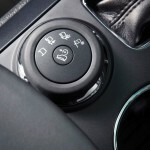 The 4WD has the Terrain Management System with selectable modes. The Platinum tester Ford was gracious enough to allow me a week with recently, gave me the same first impression that all Explorers do; that off-roading isn’t an issue. Unlike some of the full size SUVs which seem to be better suited to hauling soccer moms around suburbia, the Explorer has always made me feel that it could easily take the soccer moms mudding, should they choose to do so. Inside the quilted leather and upgraded interior does indeed make the Platinum more luxurious. The new layout for 2016 works well, and contrast stitched leather wrapped dash and steering wheel set it off quite nicely. Being an EcoBoost fan, I knew the 3.5 twin turbocharged engine would perform well, and I was not disappointed. 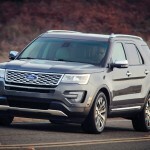 It’s easy to understand why the Explorer is such a good seller. It’s roomy, capable and well appointed, always has been, and still is. The changes for 2016 are subtle and well done. The addition of the top of the line Platinum had me wondering however, why not a Lincoln? 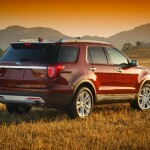 After all, if a Ford fan wants a luxurious SUV, the MKS stands ready. The truth is the Ford Explorer Platinum is an Explorer. The MKS is great, but vastly different from the Explorer. There is also a pretty big price difference ($55,355 for the Platinum, $67,020 for the MKS). 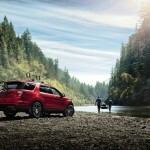 At the end of the day, there’s a reason the Explorer is one of the best selling SUVs on the road today. The new Platinum is all the Explorer has to offer, only better. 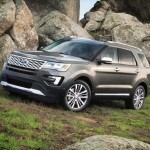 It really is an Explorer that is NEW, IMPROVED, and BETTER THAN EVER. EPA interior volume: 171.3 cu.ft. Maximum towing capacity (when properly equipped): 5000 lbs. Cargo capacity, all seats in place: 21.0 cu.ft. Maximum cargo capacity: 81.7 cu.ft.